The newest entrant into the Urban Decay Naked palettes family is the Urban Decay Naked Smoky Palette, and as is the case with everything UD - Naked, this too generated quite a buzz when it released. The palette features a mix of matte, shimmer, and satin-textured eyeshadows, and the colors range from softer neutrals to some deeper dark colors. Also included with the palette is a double-ended brush and a detailed lookbook with four chic looks. Scroll on for more photos and swatches. 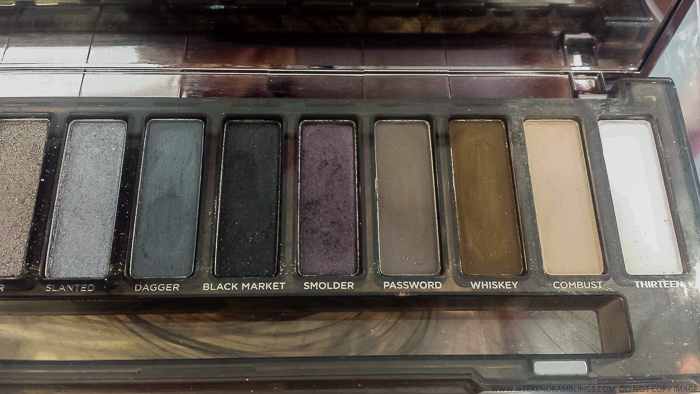 Personally, I wasn't all that very wowed by the new Urban Decay Naked Smoky Eyeshadow Palette. 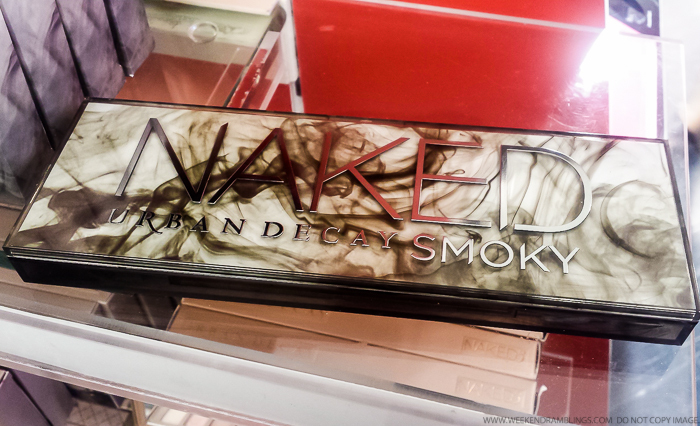 I don't own any of the other Naked palettes either, so I am probably not the target audience for this product, but I do like the previous three Naked palettes, and in fact, would prefer any of those to the Naked Smokey. 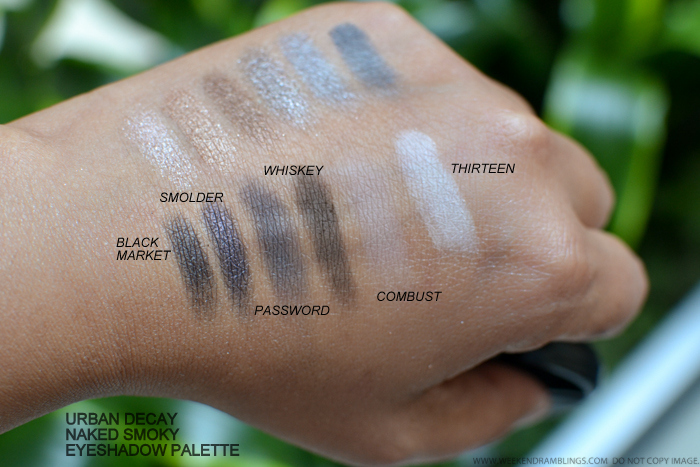 I love darker, smokey eyes, so I was expecting a lot from the Naked Smokey palette, but the eyeshadow colors all seemed a little too similar to each other (and also to a lot of colors in a lot of other brands). 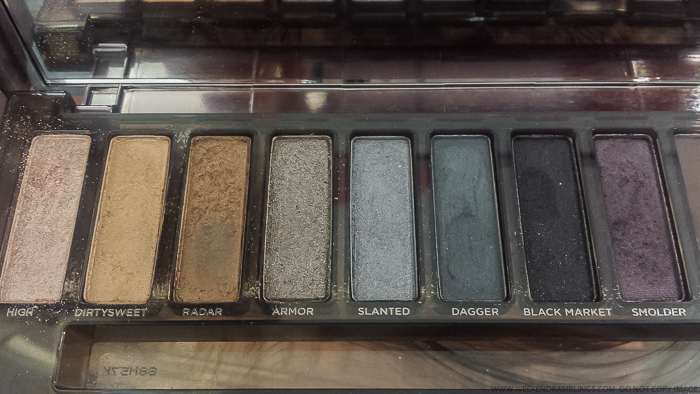 Plus, this palette seems to have cooler-toned eyeshadows, and I prefer warmer, richer tones. 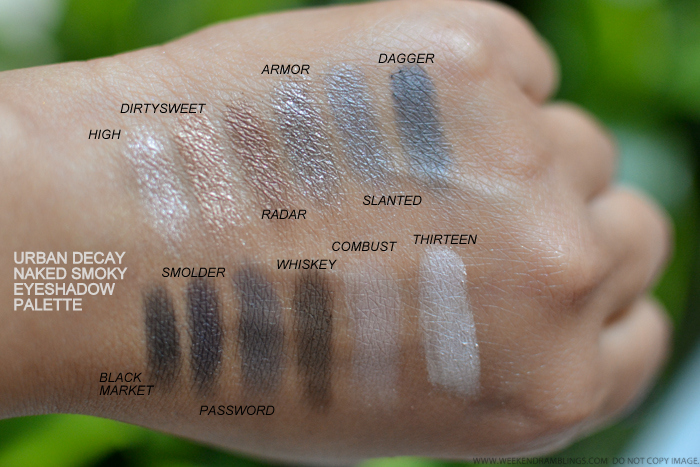 The eyeshadows also didn't seem as pigmented or smooth as in the earlier eyeshadow palettes, though I am not sure how much of that is due to the tester being out in the open for a long time. 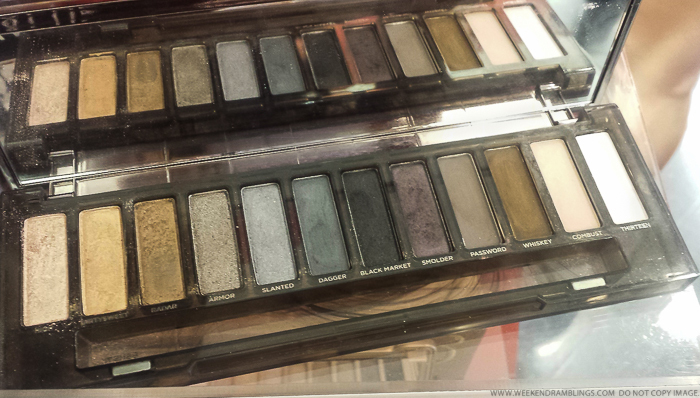 Overall, the Urban Decay Naked Smoky Eyeshadow Palette is an easy pass for me, but if cooler-toned eyeshadows work for you and/or if you love darker eye makeup, give this makeup palette a try at a counter.